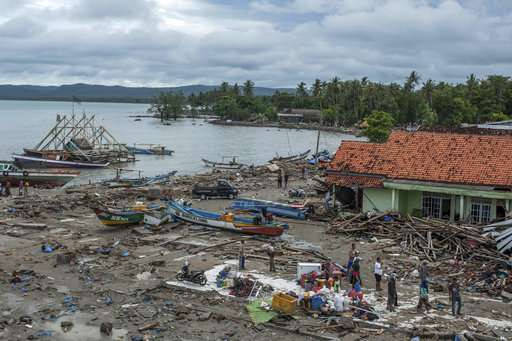 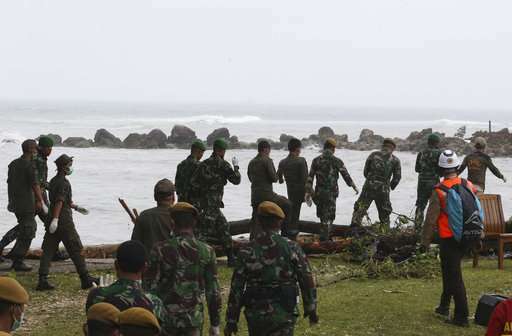 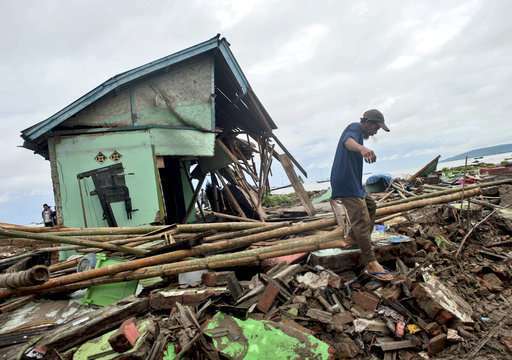 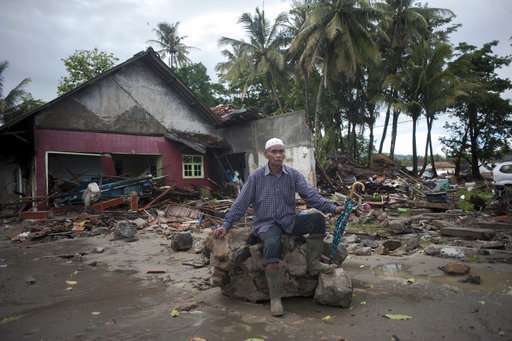 Body bags were laid out along the shattered coastline as Indonesian authorities stepped up efforts to collect the dead and save the injured Monday in the aftermath of a tsunami that was apparently triggered by a volcanic eruption. 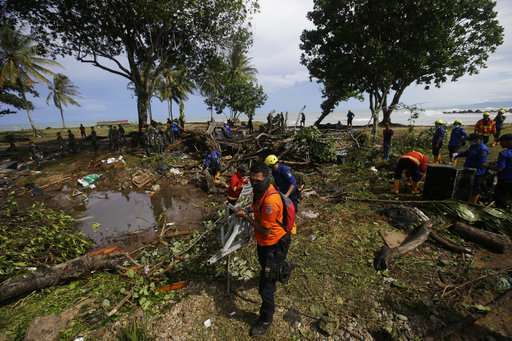 The death toll climbed to 373 and was certain to rise. 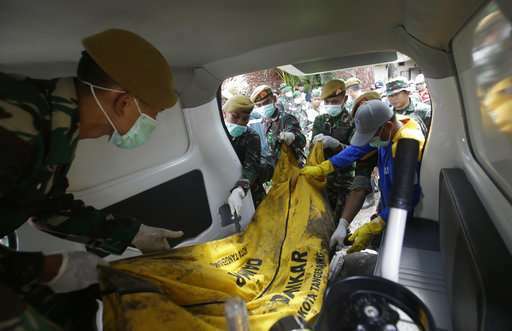 Seventeen's bass player, guitarist, drummer, road manager and technician were all killed. 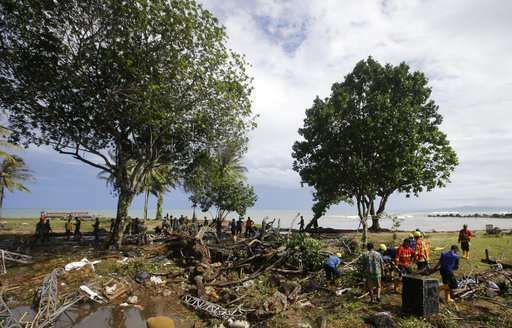 The lead singer survived, but his wife, a backup singer, was missing. 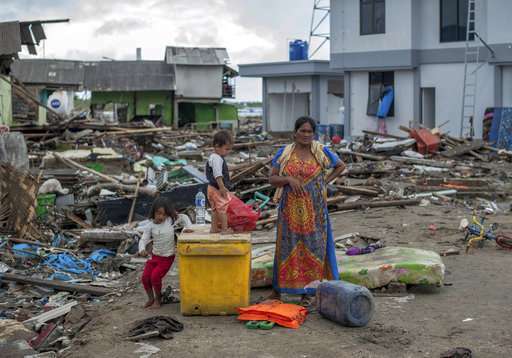 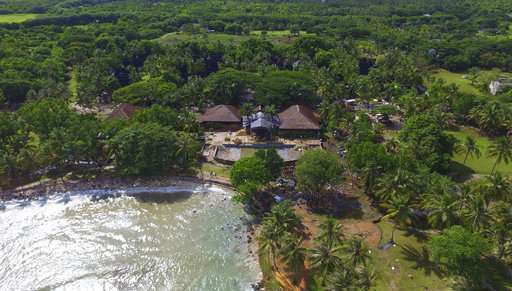 "I heard people shouting to run away, and I saw the water had gone up to the mainland and the hotel had been flooded by water," said Feri Ardian. 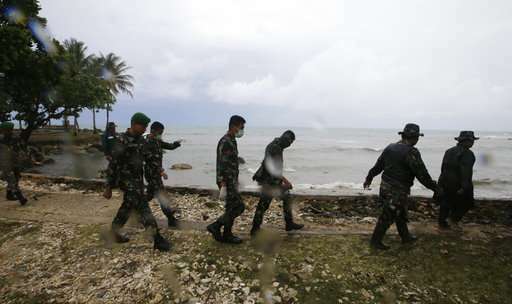 "About 200 people were dragged away by the waves." 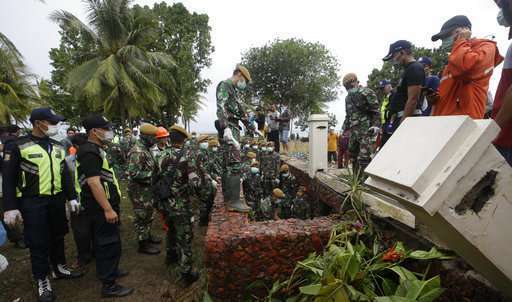 Sutopo Purwo Nugroho, spokesman for Indonesia Disaster Mitigation Agency, acknowledged on Twitter that the country's network of detection buoys had been out of order since 2012 because of vandalism and budget shortfalls. 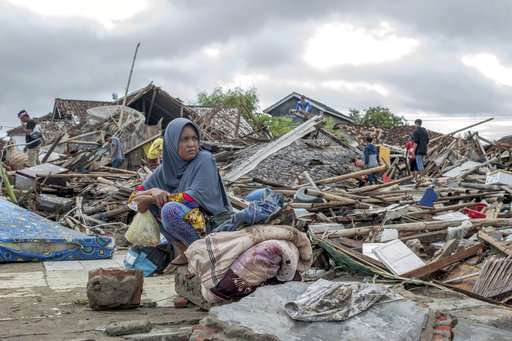 But the head of Indonesia's Meteorology, Climatology and Geophysics Agency, Dwikorita Karnawati, said the tsunami was caused by Krakatau's volcanic activity and so could not have been picked up by her agency's sensors, which monitor the conventional earthquakes responsible for more than 90 percent of Indonesia's tsunamis. 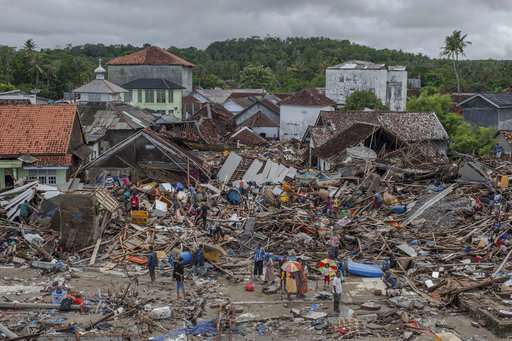 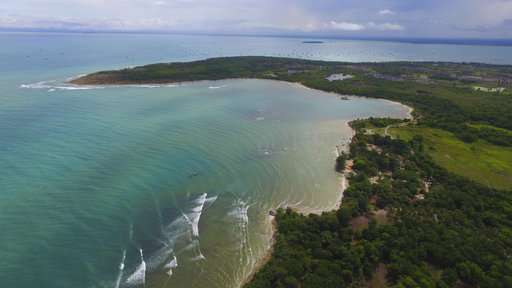 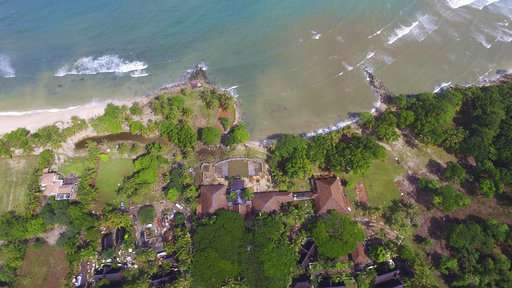 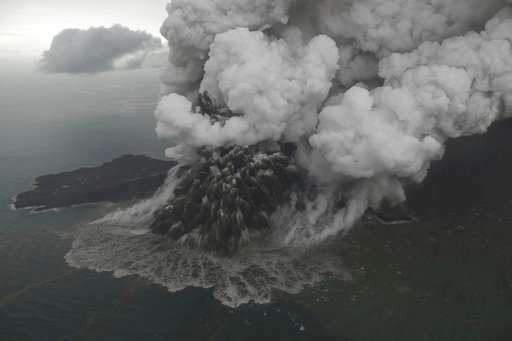 The tsunami was probably caused by the collapse of a big section of the volcano's slope, said Gegar Prasetya, co-founder of the Tsunami Research Center Indonesia. 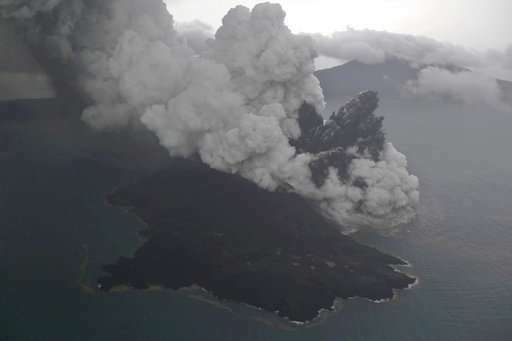 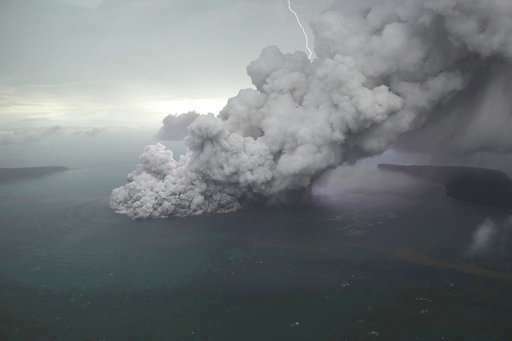 The 305-meter (1,000-foot) Anak Krakatau been erupting since June and did so again 24 minutes before the tsunami, the geophysics agency said.